hello everybody! I'm new of this forum, and I'd like to know which vehicle I can use for the MOngolia charity Rally: there are any restrictions about AGE and engine displacement? thanks to everybody! P.S. : I'm Italian, so please if you can answer in a simple English... sorry! Feel free to send an email to info@gohelp.org.uk and we'll drop you an information pack and put you in touch with the right people! I watched the pages you had told me, and I have few more questions: in this pages there are vehicles that were actually older than 9 years old at the time of the rally (for example 2000 renault master), how is it possible? And then, here there are only vans, ambulances or 4x4s, may I join the rally with a simple car if I cannot find an ambulance? Is there available somewere a list of the vehicles I can actually use? Thank you for your time! i am also having problems fully understanding what we can take, any info you get would be great! Some guys we met (from the "other" rally) used there htc phone gps app to guide us across the whole of Mongolia (as well as their entire route from the UK) from the western border through thewilds where there were no proper roads, amazing! Are there particular vehicles that are more useful in UB/Mongolia than others? Are ambulances, people movers, small trucks and motorbikes the only vehicles accepted tax free in Mongolia? Is there a requirement that the rally organisers need to inspect the vehicle before the start of the rally and if so, how close to the start date can this be? Do you have any suggestions as to the best place to search for any vehicles you refer to in responding to the above? And a now cheeky question – do you get offered vehicles that you need driven to UB? Thanks for your help with answering these questions. Thanks for your post. We'll be putting out a comprehensive vehicle guide shortly and holding monthly conference calls to answer all of the questions...so if you are happy to hang on a little bit, I'd rather give you the full vehicle document iwth all of the information in it. We don't really get offered free vehicles to drive to UB, would be nice though :) Typically commercial vans are the most valuable vehicles, they are great for the rally as you can use them as camper vans, and they can be used by orphanages/NGOs/etc. on arrival. Motorbikes are also great. I think that the tax rules have also changed this year, details will be with you shortly. Cheers! 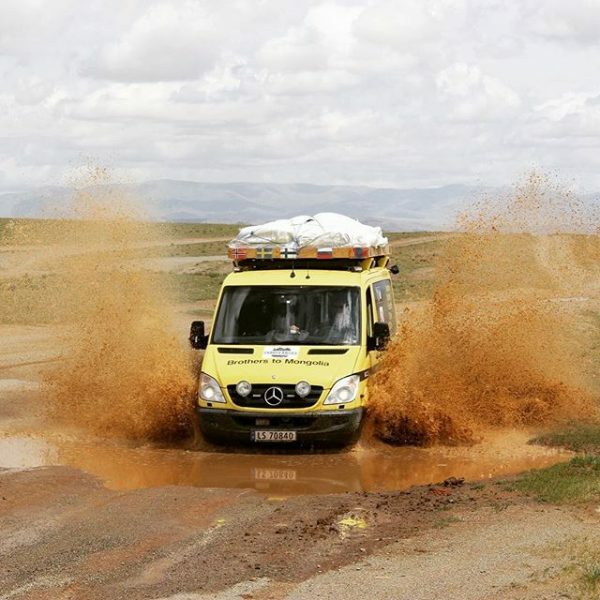 I am also keen to do the 2013 Mongolia Charity Rally. ( what a buzz !!!! ) Can the vehicle details be posted on this thread ? Yes it says 9 years and younger. But,is that manafactored or UK registered ? I ask, as a suitable 4 x 4 maybe a Jap Import to the Uk. Built in say 1996 BUT,Uk registered much later. You see the issue.Would such a vehicle still qualify ? I saw an Italian team had a Pajeero in 2011.Which was older than 9 years. Did it qualify due to its " registration " date in Italy ? And what flexabilty is there relatable to the issue of age,presuming it was a regular UK car?.ie Non import. I saw in the 2011 Rally,someone did it in a 1996 van . There does seem to be some confusion and i susspect the issue is relatable to Mongolian Import Tax and the type and useabilty of the said vehicle??? Please clarify,so i can pay my Entry Fee and get this adventure on the road.